Explore our planet like never before! Give your students a great hands-on learning experience with these Hands-On Collaborative Learning Bundles. 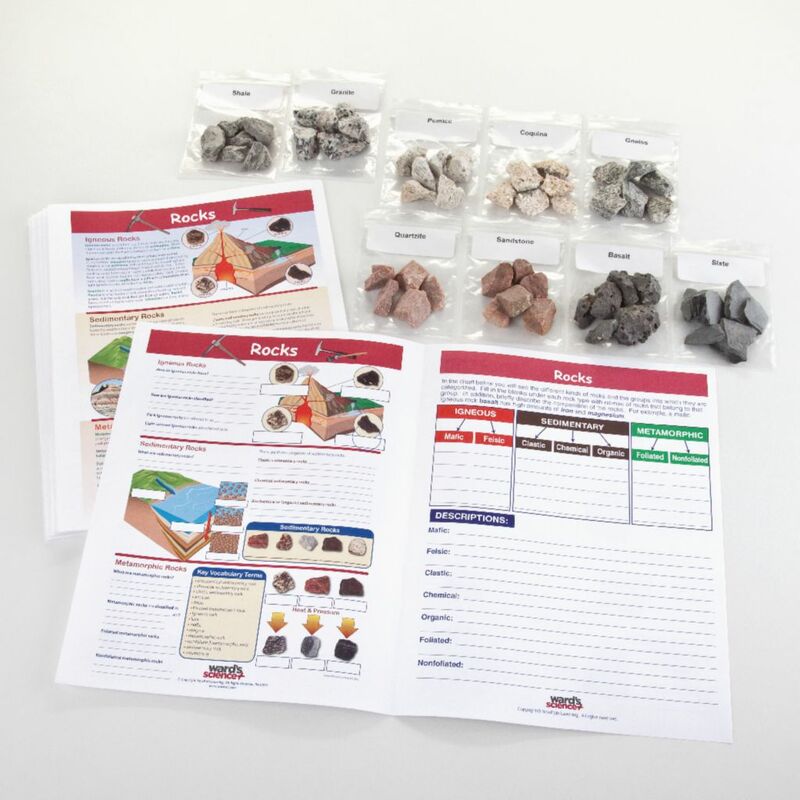 Each bundle features the best quality materials and engaging, reusable visual learning guides. For students working along, or in small groups. 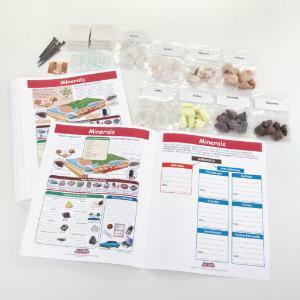 Sets featuring Geology materials can be refurbished with refill packs. 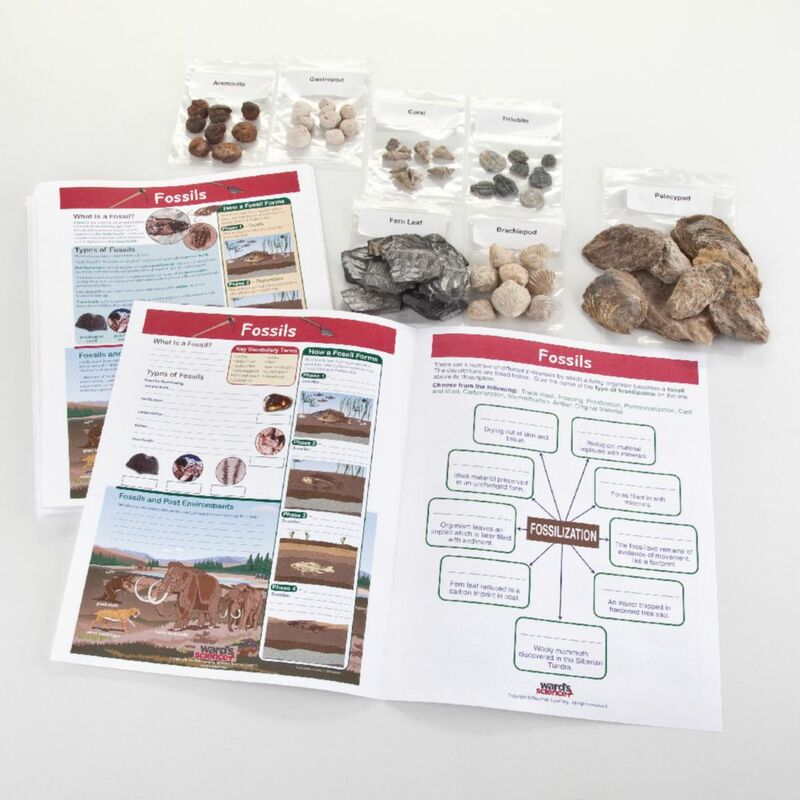 Each bundle comes with materials for 6-8 groups of students including hands on materials and visual learning guides. 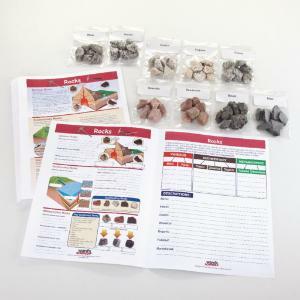 Additional packs of learning guides are also available separately. Explore the remains of ancient creatures and develop an understanding of the different types of fossils and how fossils form. Students can investigate a variety of authentic fossils collected from all over the world from the convenience of your classroom. 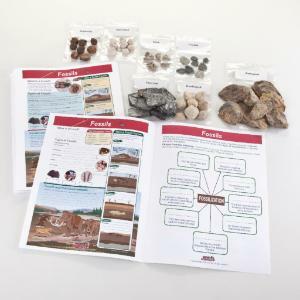 Students develop an understanding of the three types of rocks and how they form. Then challenge students to attempt to classify samples based on what they’ve learned. Includes: 6 Sandstone, 6 Shale, 6 Coquina, 6 Pumice, 6 Basalt, 6 Granite, 6 Quartzite, 6 Slate, and 6 Gneiss. 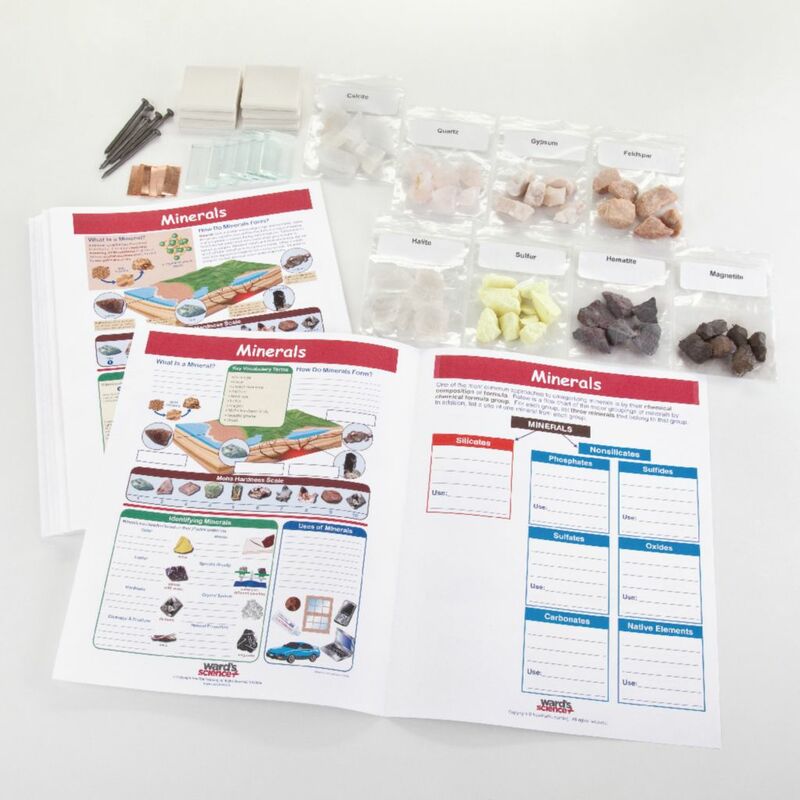 Learn to define what a mineral is and then compare and contrast specimens by testing their physical properties. Includes: 6 Gypsum, 6 Hematite, 6 Feldspar, 6 Magnetite, 6 Halite, 6 Sulfur, 6 Quartz, 6 Calcite. Also includes streak plates, copper strips, glass streak plates, and steel nails for testing the specimens.